My brother-in-law and sister-in-law have a humming bird friend who loves their backyard. He’s fun to watch as he flies around, perching on the trees and darting to the bushes. Can’t blame him, it is a nice quiet place to hang out! You remind me a lot of myself sometimes. 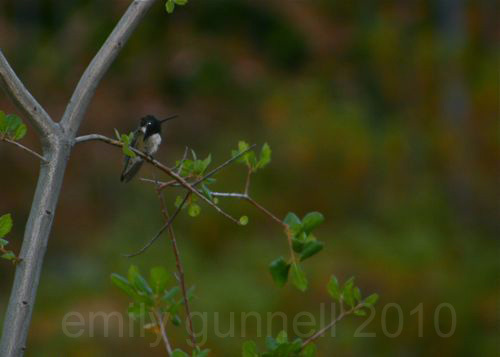 I’ve been chasing humming birds in the backyard trying to get a decent picture. The only difference is you succeeded. Beautiful shot!